It’s a great time to get into residential cleaning. The industry is experiencing a strong resurgence after rocky years following the economic recession, and new businesses are flooding the market thanks to its low barriers to entry and profitable potential. Fortunately, there are options for business owners to take advantage of current market trends without having to work for years establishing a predictable customer base: franchising. Franchising is often an excellent option for both new and experienced business owners, and Molly Maid is one of the largest and most experienced franchisors in the residential cleaning business today. Franchising with Molly Maid not only provides business owners with countless invaluable resources, but also with a huge base of trusting, loyal customers. As we mentioned, residential cleaning is currently a hot industry; market growth is projected at 4.3 percent through 2020. This is exciting, but also means that the competition is going to get stiffer over the next several years. Companies with established trust within their communities, millions of existing customers, and a decades-long track record are going to capture the most customers. Did you know that residential cleaning companies lose 55 percent of their customers every year from poor service? Fortunately, that’s not the trend with Molly Maid, which builds businesses around the core foundations of customer service and delivering excellent results for every single service call. 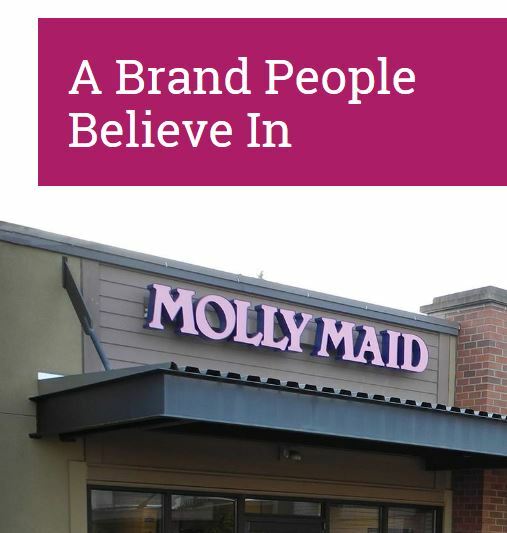 But it’s more than just the brand that comes with a Molly Maid franchise. Business owners also have access to management tools like business software, trusted vendors, marketing support, designated territories, and more. Residential cleaning services require more customer trust than most other industries. Clients need to know that cleaners are trustworthy enough to enter their homes and handle their possessions. Customers have always been selective, but in the digital age, it’s even easier to hop online and shop around based on reviews and ratings. Establishing the kind of trust that keeps customers coming back again and again takes years – and Molly Maid franchisees have this on day one. Molly Maid serves over 17 million customers every year. What’s even more important, however, is the 97 percent retention rate. Customers stick with Molly Maid because of its stellar service, personalized, flexible customer service, and established trust. If you’re ready to enter the residential cleaning business – or to access a larger customer base than ever before with an existing business, we’re seeking franchisees who are focused on delivering exceptional customer service and becoming a new partner in the Molly Maid story. For more information, contact a franchise developer today.